I started off my day thinking I'd take my ESP32 for a JTAG test drive. Searching for pinouts I quickly realized there are known bad pinouts floating around. This was quite a surprise as the ESP32 has been out for well over a year. I wasted a ton of time on that. I'm posting my findings here. (many thanks to the folks at @esp32net for responding to my tweet and helping to identify correct pinout). I modified a known-good pinout image to create this little reference to easily identity a bad ESP32 pinout. Hint: look for the locations of the GND pins. 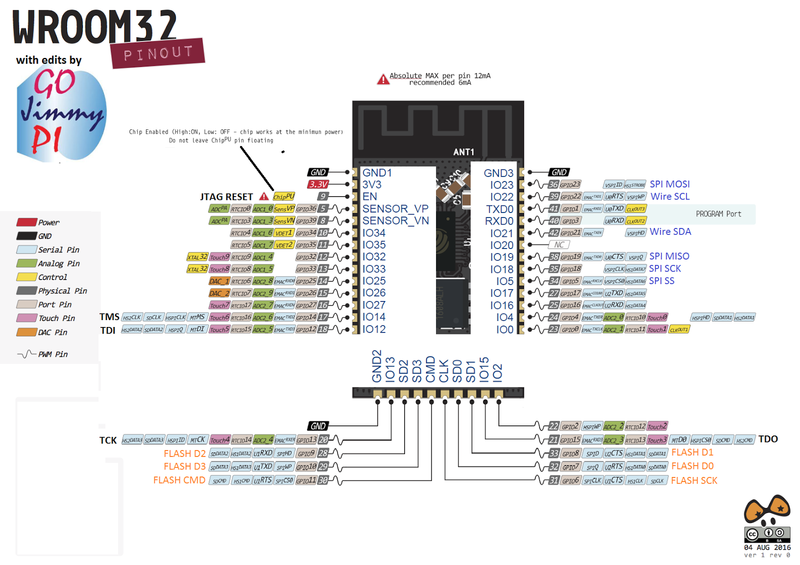 Ok, so once the correct pinout is found - there was a moment of "oh no, all the JTAG pins are not available on my CoreBoard V2 breakout (grumble, grumble I don't want to solder them on)". But no... all good. Who would think that SD2 = TCK? 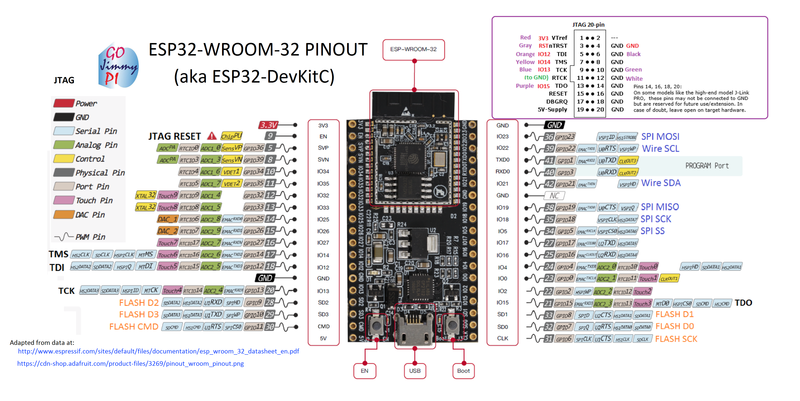 I should mention that "ESP32_Core_Board_V2" is the same as "ESP32-DevKitC"
But that tutorial is using the Sparkfun ESP32 Thing, and mine is the Adafruit ESP32 Core Board V2, mentioned above. Note: Although the Sparkfun apparently has an LED on GPIO5 - according to the schematics, the only LED on this board is the power LED - so don't expect it to blink - unless you are having really serious power problems! ;) But the sample code does indeed control GPIO5. There's a recommended max of 6mA per pin on ESP32, with and absolute max of 12mA (read: you could still damage or shorten life). Many LED's run at 20mA and drop 1.8V. At (3.3V - 1.8) = 1.5; this means you should be using at least a (1.5/0.006) = 250 or 270 ohm resister for only 6mA. This may not result in a very brightly illuminated LED. For information on VSCode debugging of ESP32, see this post. 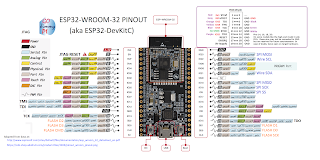 Hi, I am trying your setup for debugging an ESP32 with a Segger J-link, however it fails to flash the ESP32 with a Not Responding error. The test settings button does indicate all is correct. In your picture of the J-Link connection, you have a brown wire to the ESP32 ground, but on the J-Link connector it looks like it is hooked to pin-2 which is NC. That's an astute observation! I agree that the pin in the Segger is NC, and is likely a leftover during my trial-and-error phase - as when googling "segger j-link pinout" oddly some of the pics will show Pin 2 as TRST. hmm.. other ideas: I assume you've also tried the usual power cycle of Segger? You are powering the ESP32 separately, too - right - with a known good cable (try a different one)? Be careful of ground loops. It keeps telling me some GDB command fails to complete when attempting to flash the ESP32. It tries 3 times then gives up. I am powering the ESP32 from the USB cable with a tested cable. 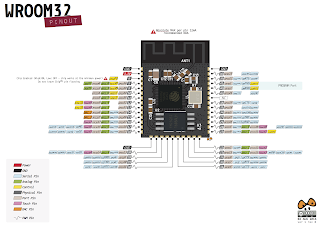 Generally, ESP8266 and ESP32 are much less reliable than ARM-based models and often require experimenting with various options in order to get everything working. If you are looking for a solution that works out-of-the-box, we would recommend CC3200, otherwise feel free to post details on the FLASH programming errors you get and we will try to suggest a solution if this is something known. It has been a couple of months, and I don't recall if needed for JTAG as well as USB programming... but are you holding down the flash button while powering up the ESP32? I had a lot of problems using an FT cable as well. In the end what helped get things moving was to change the alg_timeout to 10 seconds in the debug-vgbsetting file, which is part of the project. It defaults to 5 seconds which is not long enough for the flash to erase. Today I reconnected the J-Link and it was working. Did you change this in your setup? Very interesting article. Can you tell we where you found the ribbon cable with separated pins you use on your JLINK ? Thanks for the article and pics. I got GDB working with ESP32 devkit C and J-Link EDU. I am unable to get System View trace working. Not sure if it's a license thing on the J-Link or if I'm doing something wrong. I ordered a FT2232H board to see if that makes a difference. More on Segger J-Link and VisualGDB.